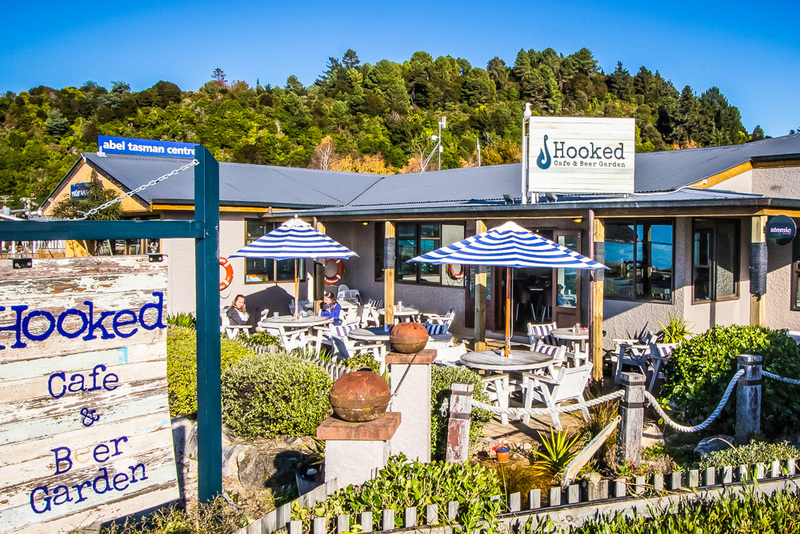 ooked is a waterfront cafe, beer garden and restaurant located in Marahau; the gateway to the Abel Tasman National Park. 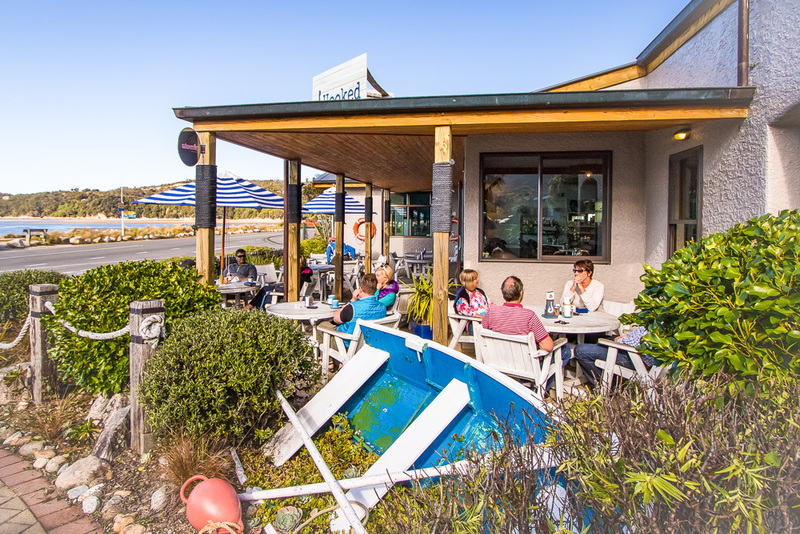 With breathtaking views across Tasman Bay and cuisine created from the very best locally sourced produce, Hooked has been a favourite of locals and visitors for well over ten years. 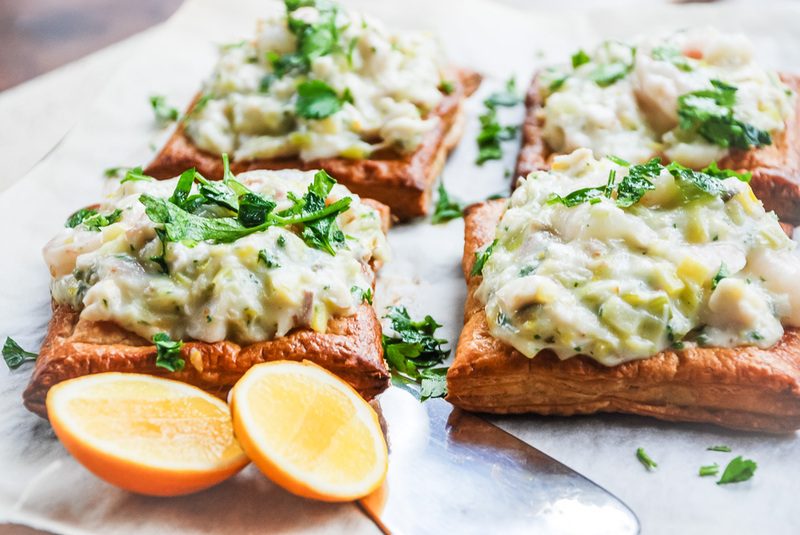 ooked brings in the best local ingredients we can lay our hands on each day to create fresh, simple cuisine that will not fail to impress.Breakfast, lunch and evening meals are offered along with home-baked snacks, barista coffee and a fine selection of local wines and craft beers on tap. 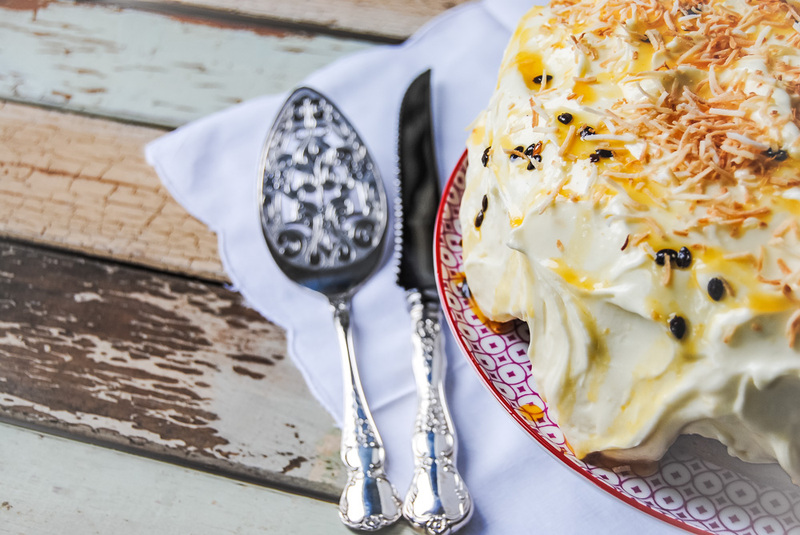 Evening meals have a strong New Zealand influence and use only the very best locally sourced produce. 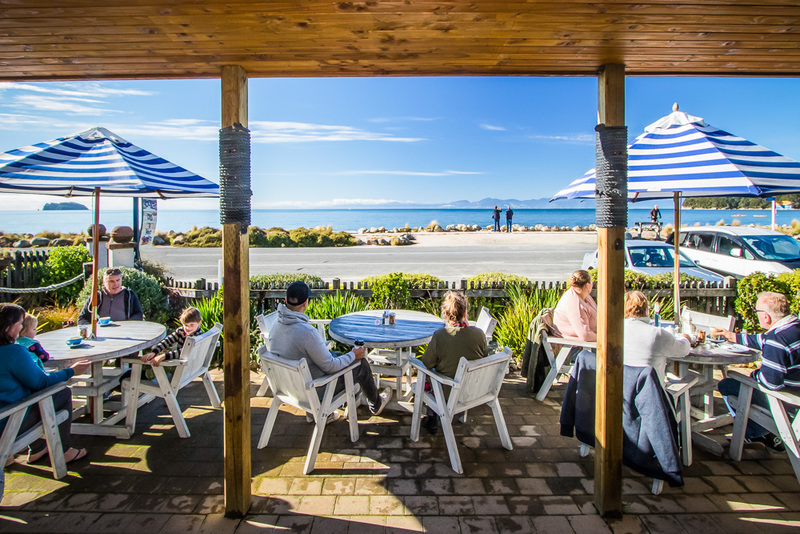 ooked is a waterfront cafe, beer garden and restaurant located in Marahau; the gateway to the Abel Tasman National Park. Hooked was opened in 2002 by the Alborn family. 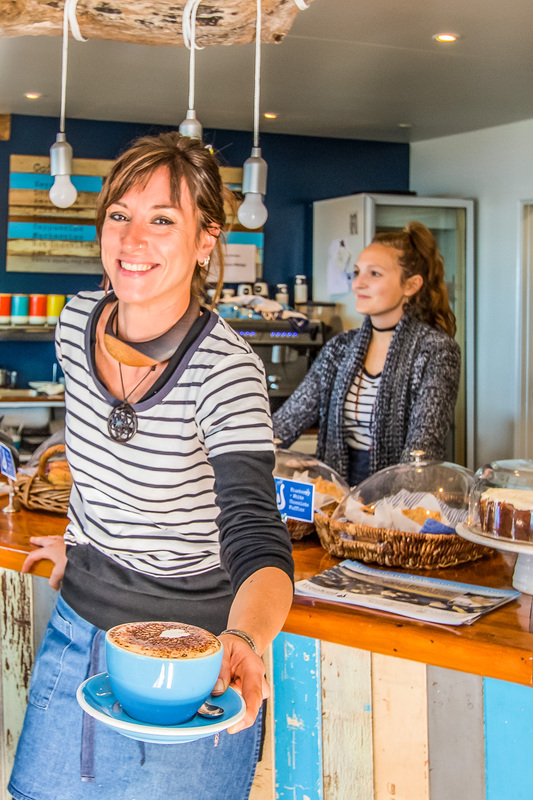 Zoe Alborn has managed Hooked since its opening day and remains just as obsessed as she has ever been to delivering a wonderful dining experience for every visitor. 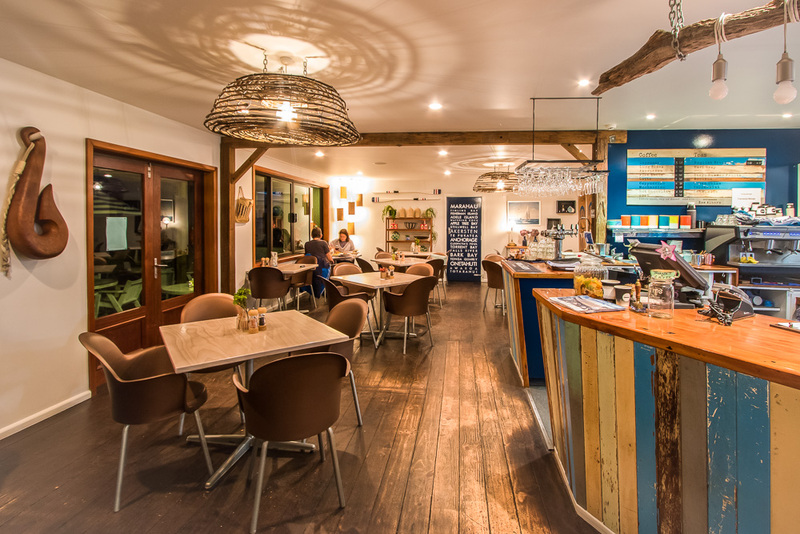 The interior of Hooked has two beach house style dining rooms, both of which are adorned with an impressive collection of seashells, driftwood, crayfish pots and other vintage nautical objects. Even after multiple visits to Hooked, visitors find plenty of interesting pieces still felt to discover. Hooked runs a popular happy hour every day from 4:00PM to 6:00PM with a selection of local craft beers and local wines included. 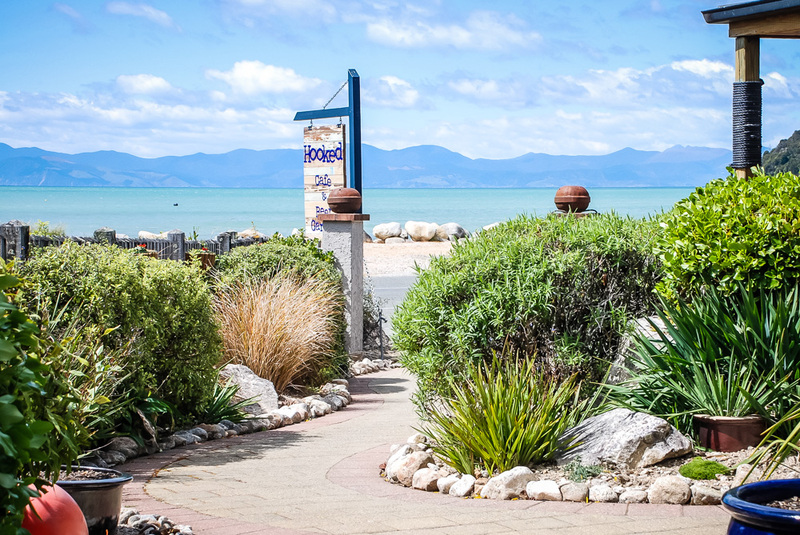 Local Marahau village residents and visitors to the Abel Tasman National Park converge on Hooked each afternoon to sit, chat, quench thirsts and welcome the stunning sunsets across Tasman Bay. © 2017 Hooked . All rights reserved.